Yay ! No student can fail till class VIII – now enjoy vacations tension-free ! However, students can now enjoy their remaining part of the vacation without any tension and concerns about their result card. Here’s a pleasant surprise for students! As per a law by the Centre effective from April 1, 2010, from now on school students will get promoted by gradation even if they fail in their annual exams. All students of Std I to VIII will be promoted to the next class irrespective of examination results, based on the Right to Education Act. The ambiguity on the implementation of the law was cleared by the Centre recently through a government resolution. The resolution also passes on the responsibility of the student on the head of the institution to ensure that special training is imparted to such kids to uplift them on par with their peers. At the same time, the student can not be expelled from the school for any reason. The resolution also says that the students who failed in the academic year 2009-2010 should also be promoted. Now, this is what I feel is the real fundamental educational reform, other thing remaining constant. A reform which changes the life and potential of the student is all worth it more than any other kind of reform, to start with. The best part of this reform is that it not only saves one crucial year of the failing student, but also helps in keeping the child away from getting de-motivated and initiate any drastic or untoward measure from the mental agony of losing an important year. In the journey of life, if a kid goes through a traumatic event at an early age of 6 to 14 years, the feeling of failure and aguish against the educational system is bound to creep in, thus affecting the remaining part of the academic career of a child. Those students who are not up to the mark and are pushed forward through promotion shall be provided appropriate remedial learning classes through coordinated supplemented services by senior teachers to meet individual student’s criterions. Do you think this law could be taken for granted by the student’s community? "Yay ! No student can fail till class VIII – now enjoy vacations tension-free ! ", 3 out of 5 based on 4 ratings. 65% softwares used in India are Pirated worth $2 billion ! Punjab made year 2009 an year of education. Shouldn’t the whole of India do it? My son is failed in 4th standard in jack – N – jill EDUCATIONAL ASSOCIATION khar (E) mu.-400051. I want to tell you one thing if student is not fail up to 8 that’s why now I find lot of student in 9th std not able to solve basic maths vernacular medium students not able to read simple sentence in english it’s a good or bad for India’s future. My daughter is fail in 7th standard In kalka Public School, Kalkaji, New Delhi. Is there is any rule to promote him. If any rule or Notification like RIGHT TO EDUCATION so please tell me. My sister has failed in class 6 and school do not promoting her to next class….if she will study in same class then she will not be happy always because her friends will study in 7th standard… Please reply me soon…. I am from a village and I don’t know what I do.. If a child fails in standard IX in one subject or more subjects is it a must that he or she be promoted into standard X as per gujarat secondary and higher secondary education board rules? hai sir, It is the fault of buth u and the school. why do u want to shift your responsibility on child? Pl. ask the school authorities to give in writing what they are telling u now. so that u may book a case against the school authorities. conditions that instead of math they will give economics subject. please advise me and one more thing he is not weak in math actually he scores better in different tests conducted by school and he need extra coaching by senior math teachers. My son is failed in class VI CBSC, Is that the same rule been here. Hi My son who is 5.6yrs as on March is being detained in nursery class when we objected school asked us to withdraw the child .Important thing is ,we admitted the child in KG in this school(from previous school he had already done nursery ) after spending 6months in KG ,they relegated him to nursery ,now again they want him to stay back in nursery .what can be done here .We asked them to give it to us in writting that if we don’t want him in nursery and want him to be promoted to next class ,we will have to pull out our child from their school they refused ,further demanded psychologists report ….pls. can anyone help here …what should be done as it has really put very bad impact on my son psychologically .with in last year three group changes and now school want him to be in new forth group . if i ll fail in 2 subject so the school will allow me to sit in 9 class. It is only till 8th and not for 9th..so read well..all the best. I am in 8th right now. 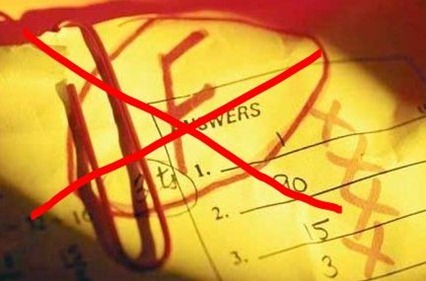 I hv failed in one subject…will i be going to class 9th?? Also is this policy applicable to every school in the Delhi region? weather this law is applicable for icse syllabus student ? please inform immediately with details ..
and also about go’s no and dated etc. It is applicable to ICSE as well. The exception is minority Institutions and state of J&K. Please read the whole document and particularly Chapter 1, Preliminary and Chapter IV, Para 16. Also read definitions of ‘child’, ‘elementary education’ and ‘school’. The document is THE RIGHT OF CHILDREN TO FREE AND COMPULSORY EDUCATION ACT, 2009. It is published on 27th Aug 2009. I am a housewife n have knowledge about child psychology. From my point of view it is a good policy. Those who are not in favour I want to tell them that they are also right from their side. But some children are there in every class who are poor n trying their best in the exams but still failing because of their writing skills. I know they should try more hard but still they are not able to do well in their exams they should get the chance to promote in their next class and those who are not studying they should be detained. But I also think that school should complete the syllabus on time. Some schools are ending their syllabuses on the last day before exam. They should also improve. See clap doesn’t goes with one hand it requires both the hands. So please think twice who are against this policy. They are making a big mistake by saying this is a wrong policy. for the students who are in the favour of this policy i would like to advice them to put little efforts in your studies and pass with good marks rather than stretching your both hands like shameless and begging in front of the government to promote you in the next class..no doubt the government has brought this policy into existence because they want that the students must not get demotivated when they fail but the government must also look from the teachers point of view, how much they suffer when a student comes to higher class and cannot solve a simple addition problem…i would say forget about the word suffer even these teachers get demotivated when they put so much efforts in teaching the students and inspite of performing well in the exam the students perform very poor… i would just say one thing even bill gates was a school drop out but he did not beg to his government to pass him on the contrary he worked hard for himself by understanding the importance of knowledge…in same way students who fail must also understand their weakness and try to overcome from it…just memorising the things what your teacher teaches will always fail you…understand the things what is been taught by your teacher and then you will be successful in your life. 1) mental anguish of the child . is failing going to increase it or decrease it . will the increase not have a direct impact on the childs future .. is it not our responsibility to make a child interested in learning for knowledge and not read just to pass . so i think the teachers should be given the onus of a child and every child . like every other profession . they simply should not get away by telling the parent that they can not pay individual attention to a child just because there are 40 children in the class. 2)All round development. school is about all round development . if a child is interested in sports or other extra cerricular activities which give him satisfaction then it should be the schools and the teachers responsibility to recognize and guide the child accordingly. But i find exactly reverse happening . the children/parents are humiliated for not getting good marks . extra cerriculars are totally absent or one has to pay extra .to enrole in one . i seriously feel that a governing body should be made by the ministry headed by a uncurraptable person to look into the welfare of the children and tighten all schools specially the private ones cause they are doing what they like . no student fail till class 8 but what about the re-exams taken till october repeatedly in the name of educational norms and not allowing the child to go to school till he/she clears the previous class isn't this giving worst impact on the child's motivational neds. I want to know whether we can studying 8th standard without studying 1st to 7th standard. This law is totally wrong because most of student until they are pressurized will not study for example in our colony I have seen all the children playing they hardly study or go to school and if u ask them they just say why to take tension we will be promoted to next class even if we leave answer sheet blank even their parents are not bothered about their studies. Hardly 10% of students will take their studies seriously and most of them study due to fear of exam and if there is no fear then most of them will be least bothered. According to recent survey IQ of Indian students is decreasing and this could be the major cause for this. what I do I am in class 9 and school is forcing me to repeat the class. is there any rule to continue in class 10. pl help me to advice please I work hard in 10.
it is one of the good idea by government by em powering the childrens up to 8th standard. i am now studying in 8th standard so it will be helpful for me. thanks god i hv cleared my schooling much before. n i ll not be in the population of dumb literates.common India wake up!this way we ll bring a generation full of disastrous future. now how ll be the future after 8 ? full of failures. weak students ll become more weak n ll start taking education more lightly. what about their base which ll be so loose in this way. it is like no pain only gain.so weird! What shall happen if I fail in std 8th. Will I be promoted in std 9th as per New govt notification. I am std 8th now if I fail this year, will I be promoted in std 9th? i m total disagree with govt. this policy.it will make children totally care less about there studies. they will pass till 8th without any problem. but they will for sure unable to learn anything. in today’s world there’s no value of been passout from 8th the need to be a highly educated man/woman . this policy will let them face problems after 8th. if the foundation of students will be weak how will they study later? this can lead to a crisis in India we are the future n we need to be well educated and highly efficient for better future of india. which can only be possible if we will work hard today. i think we should oppose this policy strictly otherwise we will face a great problem. i am in 8th class now if i fail this year i will not be able to go in 9th class? I think that this law is simply out of order….Students after being sure that they are going to be promoted in the examination will they study with the same zeal and enthusiasm as they used to do earlier?? ?… Simply NOT! Well I would just like to say that this will be the biggest blunder by the gov so far as it will totally oppose indias claim in the jometian conference in 1990 where it was empasized abt early childhood development. If the act is passed the next generation will be a group of sheeps with no idea on where to go.It will also result in weaker student base &what abt student who are about average or more than that the act will do no good to them.I feel that indian edu is good and givin competition even to developed nations and by passng this act not only will the edu system suffer bt also the student are going to suffer in their later life as they have never experinced only competition. I am Govt. teacher in Delhi. I am also against this policy because students are not ready to learn, they know that they will be promoted to the next class and now I decide to organize the research on this topic. You are requested to please send me information/link related to this policy. Why do we go to school anyway? To learn right? So that we can acquire the skills, knowledge, acumen, not only to excel in the career we choose but to help us live through this world… and what are exams supposed to be for?? I am you would agree with me that they are for judging how well a student is acquiring that knowledge.. right?? unfortunately what i saw happening was that exams were the main focus of a student’s life, not the skill he got, exams were a motivation for a student to do well, which i believe is a very shameful inspiration, and that ‘cracking’ an exams was more important than ever, grasping the subject… meaningless..
i believe that if any education system fails to stems understanding along with application of the subject… it is useless, a formality. and before 1 april.. we were one, after 1 april, w continue to be so. i don’t know how the government has helped by this bill. how students can ever understand better by just the changes in exam systems.. this is just as useless as before.. I don’t think it’s a good idea. For those who are average and above, this rule may not matter as they pass anyhow. So, for those who were failing are going to be affected. You say it’s going to make them better. First of all these kids are with low motive. With this rule, they don’t even feel the little competitiveness they had, that is to pass with minimum score of 35% or so. That was at least a little motive to learn a bit of the basics needed in higher classes and life. Now, they can safely ignore any academic learning and they clearly flunk in 9th or 10th std and obviously, they’ll be having no basic skill to pick up anything academically. And, at this stage they are going to see floods of competitiveness. They are going to get heart attack as they are not exposed to the competitiveness gradually. For the kids who are faced with lot of competitiveness in early age are not worried about passing anyhow. So, their parents pressurizing is not going to stop with this. The only benefit is for the Government to cut costs on education and say we are providing basic education to all. So, the schools having 1 teacher for thousand kids can breath easily as there is no accountability of students learning. Once this rule comes to effect, in about 10 years, all the students in 9th/10th have never faced any exam will flunk badly and start hating studies when they see a flood of competitive exams ahead of them. No failing – Great. Have fun. But at the end get your act right or you could become a failure. Viral – agree with you that parents and children should take this opportunity to provide their children more opportunity and not instead tell them that the law is stupid, hit the books and if you want to get into a good college. Just like work there is rat race for adults, education is to children. I partly agree with the views of both of you. The loophole is always there for the students to shy away from studies. But, it has to be seen how the schools cope-up with this obstacles. May be they could come up with some grading system or an alternative test to ensure that students don’t take this law lightly. I think the HRD ministry should throw light on more clarity about this new prescrpition. Certainly, for me, this is a positive step. There was a time when we had competitive exams during our times, and we could cope up with it quite well. But, for today’s children the pressures are simply too much to come out with flying colors. In current competitive times, parents are seen constantly pressurising students to study well, participate in various other activities and develop all-round ability a bit too soon and at a faster click. Most of us who have finished studies, contended with no tustion classes at all or at best 1 single tuition class for the subject we were weak at. Now, parents want their children to be doubly sure of their studies in school and in tution classes both for every other subject, which means more time into books and less in other creative activities. In fact, some parents are apprehensive about school’s ability to solely nurture academic knowledge in their child. They want tution classes to impart extra knowledge in full depth. Where is the time for the child to play in open air ??? There are some apprehensions…. which are rightly narrated by both of you in above comments. But, we should not forget that the competitive examinations would be back after Std VIII. The merit-based schooling will be back in the vogue in crucial Std.IX and X levels. The issue is still debatable, and both of your views are pointed towards loophole of the new ruling, and quite rightly so. I thought the US education system is BAD, this is far worse. India is doomed if this continues. Its bad enough that the IIT papers have been leaking for the past few years in a row, now this!!! Now even if student don’t study at all until 7th grade they will still be passed. No one sees anything wrong with this picture? No single country in the world allows this to happen. This law is stupidity. It is important for a child to learn in the formative years and an examination is meant to test the learning. A student failing due to wrong or improper testing methods is one thing, but a student failing due to not learning at all is not good to the country and the individual. With the student teacher ratio already skewed, do you think the school will be in a position to identify and coach students who are ‘not up to the mark’?? And why do you think the ‘weak’ student should listen when he has been assured to be passed till the 9th std. This is not a reform for sure. This will have a long term negative impact. Great!! Where the hell was this all this time!! Its of no use to me now because I’ll be 9th pretty soon. You’ve been one of the active ‘comment’ makers on trak.in blog. And, to my surprise, today I discover that you’re still in the 9th standard and yet your comments on this blog are so sensible. He he… Vishal, I would say, even though you’ve missed this reform by one year in your schooling term, it is still welcome even though it is introduced a bit late, it would still serve the purpose for other students. how many marks i have to score in all subject?? min to max? ?